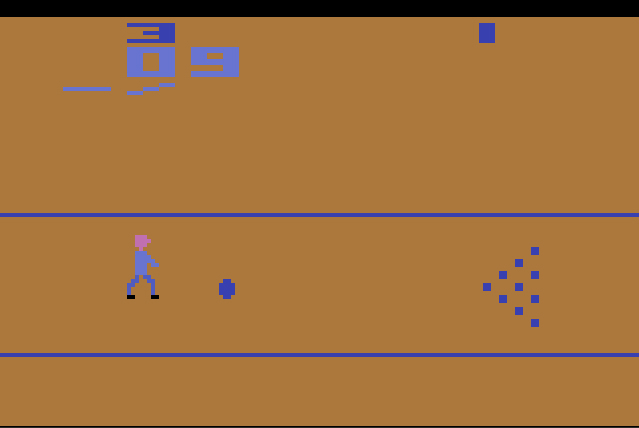 OverviewA bowling game released for the Atari 2600. A nice little bowling game. You try to knock all the pins just like in a regular bowling game. 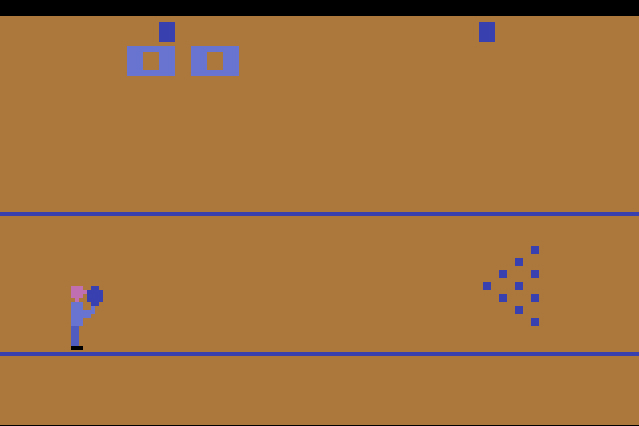 The player is on the left, aiming where to throw the ball and the pins are on the right in a top-down like view. The overall graphics are nice for 1979 and it can be very fun. The only complaint is that the bowling ball takes a bit of time to get towards the pins which can make it kind of boring, but otherwise it's great. Now you can add videos, screenshots, or other images (cover scans, disc scans, etc.) 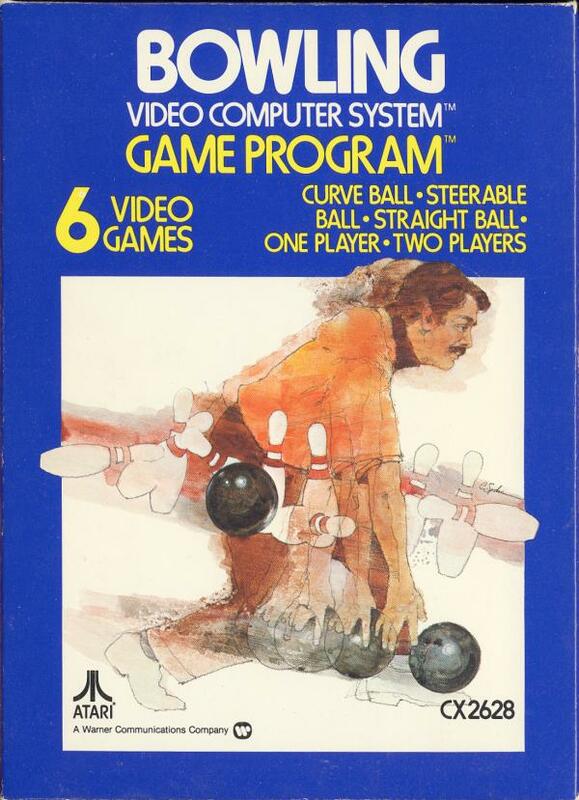 for Bowling (1979) (Atari, Larry Kaplan - Sears) (CX2628 - 6-99842, 49-75117) to Emuparadise. Do it now! If you haven't noticed yet, we have a retro game of the day feature (top-right of the screen) wherein we feature a new retro title every single day! Now, you can vote for your favorite games and allow them to have their moment of glory. 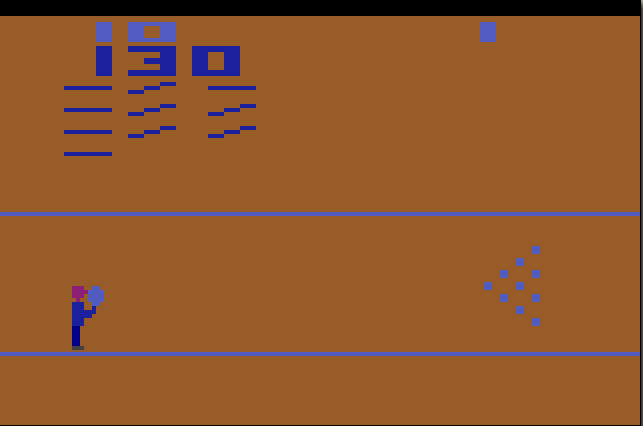 Click on the button below to nominate Bowling (1979) (Atari, Larry Kaplan - Sears) (CX2628 - 6-99842, 49-75117) for Retro Game of the Day.